They defeated Dr. Diaper! They trampled the terrible Talking Toilets! They crushed the crazy Cafeteria Ladies from outer space! And they prevented preposterous Professor Poopypants from pulverizing the planet! 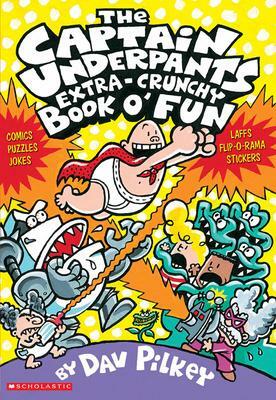 Now George and Harold are back for more fun and games with their wedgie-powered superhero, Captain Underpants! Join George and Harold as they play hilarious pranks on clueless Mr. Krupp and get caught in some very puzzle-ing situations. And they'll show you how to make your very own comic books -- complete with that world-famous cheesy animation technique, Flip-O-Rama!